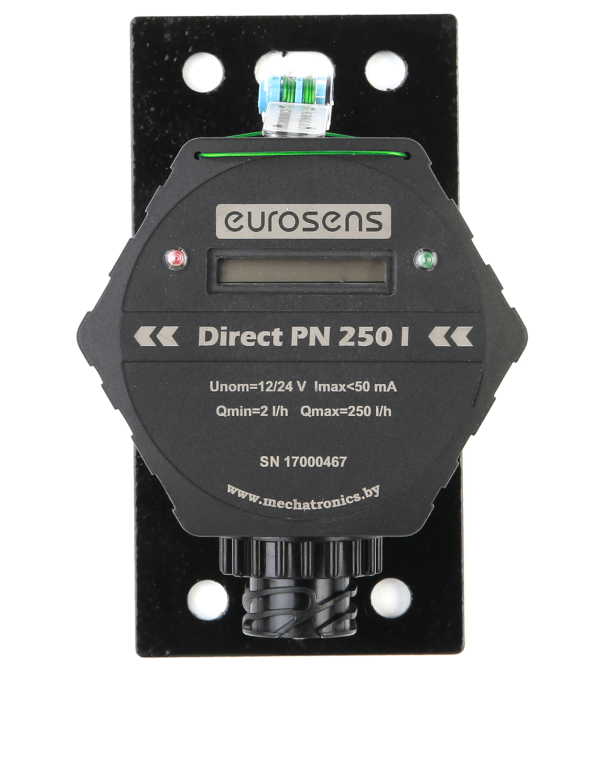 Vendor of Fuel flowmeter Eurosens Direct is Mechatronics. Fuel flowmeters of Direct serie are used for fuel consumption measurement in range between 1-500 liters/hour. Indication lights provide easy understanding state of device. Smart software processing of fuel flow pulses allows to avoid use of check valves. It mimimize hydraulic resistance of system and very important factor. Warranty term – 3 years, without limitation of passed flow. You can use specially designed Deaerator device to remove air from fuel system. Fuel flow meters Direct are made from hard aluminium alloy, measuring chambers have antifriction coating, in both measuring chambers fuel temperature sensor is installed. Each manufactured flowmeter is pre-calibrated for differential application. Thereby Delta flow meters can provide accurate results in any mode of engine operation. Unlike some other manufacturers, Direct flow meter warranty is not limited by passed flow. 3 year without flow limitations.